Dependable Exterminating offers Wildlife Control, Critter Control and Critter Removal. We offer free consultation to all our customers. We specialize in Critter Trapping, Pigeon and Bird Deterrents and much more. Let us the Pest Control company that you depend on, Give Us A Call Today 1-844-305-8999. Groundhog removal is one of our most common calls, when it comes to Wildlife removal. 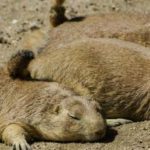 These animals can be very pesky and cause a lot of damage with grasses and shrubs, furthermore since a groundhog is an herbivore (which means they only eat plants) these animals can cause a lot of damage to Lawns and Flower Gardens. Our certified Groundhog Wildlife Control technicians will humanly trap and relocate any groundhogs that are not considered a hazard to public safety. All groundhog trapping will be conducted using Havahart Traps. Havahart Traps are a durable, safe and is also an effective way to capture an animal without harming it. If you have an issue with Groundhogs Give Us A Call Today. 1-844-305-8999. 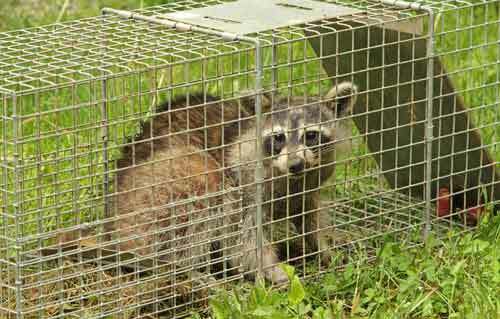 We specialize in Wildlife Removal. Raccoons have adapted well to urban environments. They find shelter under decks and houses, even nesting in attics and crawlspaces of buildings. A raccoon can squeeze through gaps only a couple inches wide. This behavior places these potentially dangerous animals near people, their children, and pets. 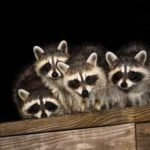 The only real means of getting rid of raccoons is through raccoon trapping and removal as well as performing exclusion repairs to ensure that they do not return in the future. Skunks can be both a blessing and a curse. 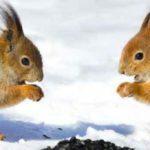 They are mostly carnivorous and feed on rodents considered harmful to humans like moles, shrews, ground squirrels, rats, mice and other small mammals. The skunk has short, stocky legs and proportionately large feet equipped with well-developed claws that enable it to be very adept at digging. They cause extensive Lawn Damage and can even damage the foundation of your home. 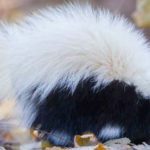 Our certified Critter Control technicians will humanly trap and relocate any Skunks that are not considered a hazard to public safety. Pigeons can be noisy, messy birds. Notably, Pigeons such as City Pigeons especially like to nest in roof eaves and solar panels. They are also known to carry many diseases as well as Bird Mites. 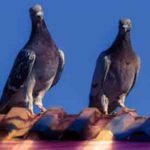 Pigeon Droppings can cause extensive damage to your Roof and other structures. There are many Wildlife Control options available to combat these nuisance birds. 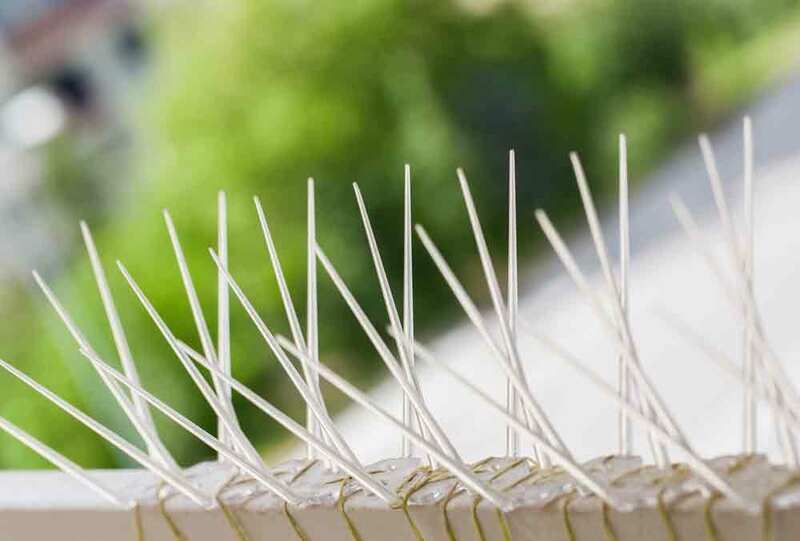 Depending on the situation we can utilize Bird Spikes, Bird Barriers, Pigeon Netting and Electrified Bird Strips. Squirrels are usually classified as a pest species due to their habits of living in houses. Rodents, like squirrels and rats, love to chew on electrical wires once in an attic, and this causes a serious fire hazard. They will also cause extensive damage to your Roof. Again, the only real means of getting rid of squirrels is through squirrel trapping and removal as well as performing exclusion repairs to ensure that they do not return in the future. If you have any issues with any of the above, Give Us A Call Today, we are experts in Critter Control. 1-844-305-8999.